Lanes Island at the mouth of the Royal River is conserved and managed by the Maine Coast Heritage Trust (MCHT). It is a great place for picnicking and camping. The island is also part of Royal River Conservation Trust’s Royal River Water Trail. Below are maps and access points that are helpful for visiting Lanes Island and paddling this section of the Royal River Water Trail. For more information and rules and regulations on Lanes Island visit Maine Coast Heritage Trust. Yarmouth Town Landing: Boat access and overnight parking for a fee is available at Yarmouth Town Landing, off Bayview Street, in Yarmouth. 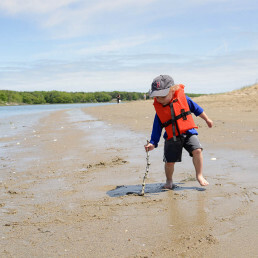 Winslow Park: Boat access and overnight parking for a fee is available at Winslow Park in Freeport, along with camping, picnic tables, trails, a beach and more. 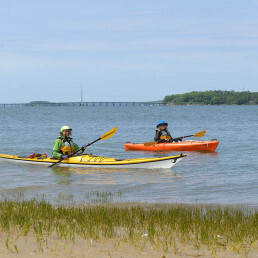 Lanes Island: The beaches and overnight campsites on Lanes Island are owned and managed by Maine Coast Heritage Trust. Caution: the island is surrounded by mud flat much of the time. Please respect camping limitations and reservations. 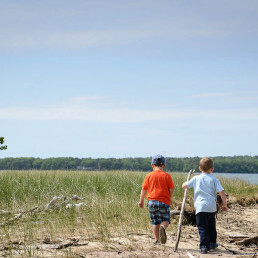 Maine Island Trail: The Maine Island Trail provides more trail and overnight experiences in Casco Bay, and informs boaters on more public access points and safety information. 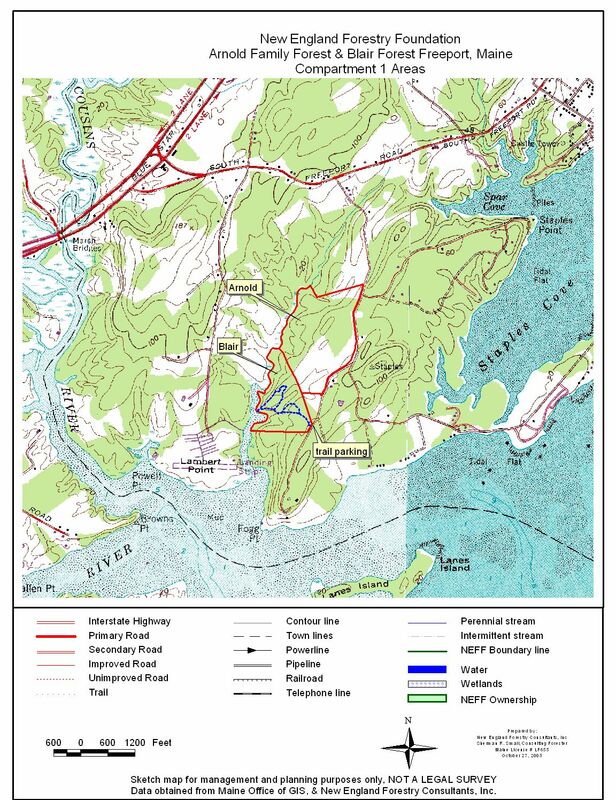 Littlejohn Island Preserve: (located just off this “Estuaries & Bay” map). The Royal River Conservation Trust’s preserve at the end of Littlejohn Island is a destination by boaters for a picnic. Daytime use only. No boat access (no boat launch) from the preserve. Casco Bay Public Access Sites By Boat: Maine Coast Heritage Trust has created this helpful map to identify all the public access sites for boats in Casco Bay. Sandy Point Beach, Cousins Island: Hand-carry boat access, daytime parking, and trails. Cousins River upper reaches and Pratt’s Brook tidal access: The upper reaches of the Cousins, and the tidal stretches of Pratt’s Brook have no public access and are impassable at low tides. The boat launches at Winslow Park and Yarmouth Town Landing allow for exploration of these stretches. Be aware of tides, and respect private landowners or private restaurant or marina access. Private marinas and private land: Several private marinas and restaurants in Yarmouth Harbor and on the Cousins River provide services, meals, and access for boaters. Please contact businesses, tides, and charts to explore options. Please always respect private landowners and private businesses with water access, especially respecting “posted” signs and parking rules. Sandy Point Beach, Cousins Island. Hand-carry boat access, daytime parking, and trails. Town of Freeport – Winslow Park and Campground. Boat access, overnight parking, camping, picnic tables, trails, a beach and more.